2 Fuji FP-100C45 4X5 Instant Prints taken on Fankie, our 4X5 monster! 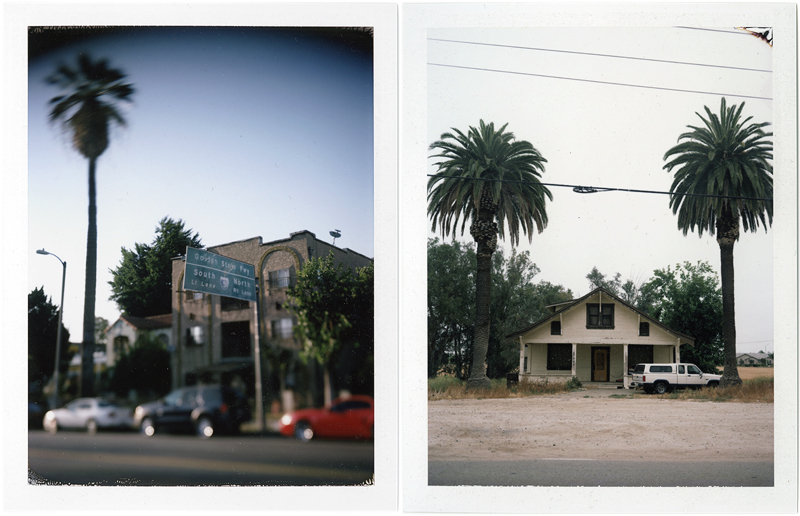 The image on the left was taken in L.A. while tilting the lens to a preset position and using the rangefinder to focus. The right was in Murrieta, California. Can't wait to see the negatives!